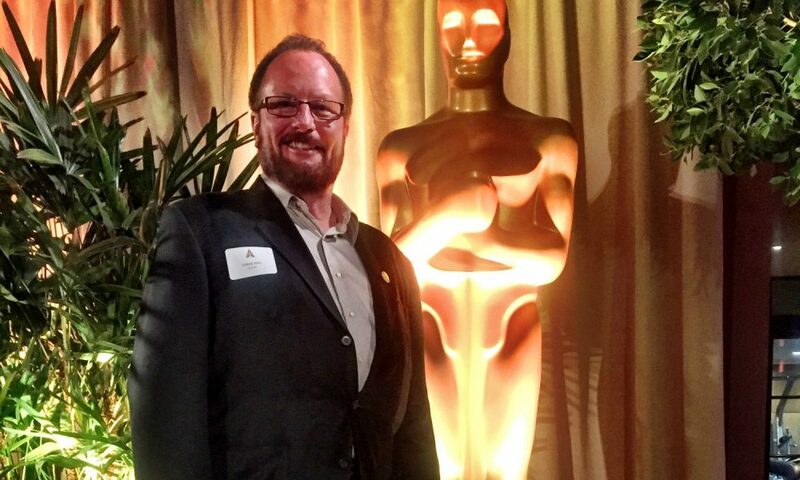 Sam Houston SW Film Investment Fund congratulates Derek Hill, Board Adviser of the Fund for with his latest Emmy nominated work on “Ozark”. HOUSTON, TX (October 26, 2017) -- “Incidentals”, billed as the first Buddhist-feminist horror/suspense story, recently wrapped an immersive table-read, rehearsal experience at Rice University’s Hamman Hall. Five students from the university’s Theatre Program were hand selected by Christina Keefe, Professor in the Practice, Director - Theatre Program to participate in the workshop, which was directed by the screenplay’s author Matthew Minson. Currently in active development, “Incidentals” is a feature length motion picture that tells the story of a flawed millennial writer who encounters a supernatural spirit of retribution at a seedy motel in the Barataria region of Louisiana. Described by critics as a “Christmas Carol meets Psycho” it’s a combination of dark humor and chilling supernatural suspense with a new villain that many describe as the next iconic persona of horror. Plus it has “that scene” which has been called the most disturbing in a decade. Written and directed by Minson and produced by Steven Jon Whritner under his aegis Plymouth Rock Entertainment, Inc., “Incidentals” is expected to begin pre-production in spring 2018. Minson is best known for the film “New Soul” (2013) and his award winning book series. Whritner is the executive producer behind such award-winning series’ as TLC’s “Repo Men: Stealing for a Living”, in addition to the scripted drama series “Son of the Dragon”, currently in development. Rice University is located in Houston and is consistently ranked among the nation’s top 20 universities by U.S. News & World Report. The university is also highly ranked for best quality of life by the Princeton Review and for best value among private universities by Kiplinger’s Personal Finance. Our lead makeup artist, Liz Bernstrom, had a problem -- and it was entirely my fault. While shooting one of the fight scenes on our Pittsburgh set of Southpaw, she was having a nearly impossible time keeping the fake blood on our actors' faces and bodies. Keep in mind, when you're shooting a movie you have to pay extremely close attention from take to take that your actors' makeup stays consistent, otherwise the audience will notice that something's not quite right. The fact that Liz was dealing with the complications of fake blood and the likes of prosthetic swollen eyes and noses is not unique to a boxing movie, of course. But I wasn't shooting this like any other boxing movie. Instead of creating the illusion of fights in the ring, I was insistent that we film each fight in three-minute rounds, like an actual match. Could we achieve a respectable scene using a million takes and edits and special effects? Maybe. But my cast and crew will tell you that if there was one thing I was unabashedly passionate about during the making of SOUTHPAW, it was authenticity. I think most of them probably never want to hear that word - authenticity - ever again. So Liz powered through sweat and hits and a continually rolling camera, making her job a thousand times tougher than it ordinarily would be while making a movie like this. When Kurt Sutter came to me with his script for the film and Jake Gyllenhaal signed on for the role of Billy Hope, we really had an embarrassment of riches on our hands, because we were all equally adamant when it came to making this as real as possible. A big part of it for me was personal - boxing is a huge part of my life. I got into the sport when I made TRAINING DAY about fifteen years ago, and it's been a part of my day-to-day ever since. No matter what kind of project I'm working on, or where, I make sure there is a ring nearby or right on-set with me. It's a sport that I've come to love and respect and continue to be fascinated by, so it only felt proper to pay homage to it on film in the most realistic way possible. It's been well-documented at this point what an incredible, grueling training regimen Jake went through to get ready for this part. For six months, twice a day, he was at the gym with me and our first-class trainer Terry Claybon, not just transforming his body to look the part, but really, truly becoming Billy Hope in technique and mindset. If you've seen Nightcrawler, it should come as no surprise that Jake went to all lengths imaginable to help realize my dreams of authenticity for this movie. You watch him on screen and honestly believe you're watching a fighter that's been in the sport for ten, twenty years, not an actor that worked on it for handful of months. As director, you can have all the wild visions you want for how your film will be created, how the finished product will take shape behind that vision and live on to be remembered accordingly. But that simply is not a conceivable goal without the proper team behind you. For this movie, I knew that in order to portray Billy Hope in an exceedingly authentic light, we needed to immerse the entire team in the sport itself and make our movie set feel not like a movie set, but a real-life match. Possibly one of the most fortunate things to happen was securing the likes of the boxing world's most established names to lend their talents and guidance during production. For training the actors and choreographing fights we had Terry, who's a thirty-year boxing veteran and has worked with everyone from Muhammad Ali to Denzel Washington. We also had Tony Weeks with us during filming. For anyone who's never watched a professional fight, Tony is a referee who's hands down one of the most familiar and beloved faces in the game. Then there was Jim Lampley and Roy Jones, Jr. on set with us, whose voices and personalities are essentially synonymous with boxing. I pinched myself when I watched playback and heard those two serving as the broadcasters for our fight scenes. And last but certainly not least, I have to mention the magic behind our camerawork. Our DP Mauro Fiore and I joined forces with Todd Palladino and Rick Cypher, who have been shooting fights for HBO Boxing for a collective forty years or so, and shot the matches just as they would have for television, advising us on everything from where the ring girls would stand to how a boxer would walk through the tunnel for his big entrance into an arena. With all those legends of the sport surrounding us, there were many times when we all forgot we were shooting a movie and weren't just lucky enough to have scored some ungodly expensive ringside seats at a hyped up "fight of the century," as they call them. One night during filming, Jim Lampley and I were sitting talking shop about Michael Nunn and James Tony fighting in Davenport, Iowa in the early '90s. Mid-conversation, Jim suddenly stopped and asked if he was wasting my time with our chat. The answer was no - it was a love of the history and passion behind boxing that drove me to make SOUTHPAW in the first place. Even the tiny, invisible elements like that conversation with Jim informed that authenticity we were trying to accomplish, and for them I am forever grateful. SHSWFIF breaks ground on new state-of-the-art 5 sound stage film and TV facility; 17 miles south of Austin in Kyle, TX; located at "Studio Estates" off I-35. Civil engineering is funded and will be completed by the first week of September, and civil works will start soon thereafter with pads and foundations on site by December. Funding being provided by the SHSWFIF LLC in conjunction with a real estate developer EB5. SpawGlass constructions of Austin are the general contractors, and the land owner will be doing the civil works and utilities. Opening is set for December 2015, and will be Texas first multipurpose film and TV studio. Talks are underway with the University of Texas to provide educational support and development for local talent. Steve Hill, MD of SHSWFIF, meets with Texas Speaker of the House, Speaker Straus, to push for replenishing the film and TV Tax Incentives fund by $100MM. Hill represented case tieing the funding of the new film studio to the continuation of the "Texas Rebate Program" for films produced in Texas. The new Texas studio will open December 2015. The Fund congratulates Antoine Fuqua, Director and Board Member on his upcoming release EQUALIZER with Denzel Washington coming out in September this year. SHSWFIF has secured the land 20 miles south of Austin International Airport. The construction funding has been offered and accepted from a major developer in Houston and subject to permitting and civil engineering being completed in next 90 days. Construction of state of art 5 sound stages studio is expected to start summer 2014 and open Q4 2015. The Fund plans to place 2 feature films in the studio annually and will seek other production tenants to provide the investors with full utilization of the facility supporting the production of films in Texas. 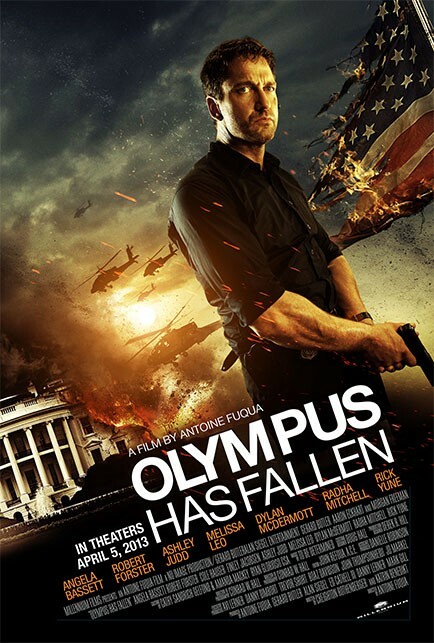 Antoine Fuqua’s OLYMPUS HAS FALLEN, Starring Gerard Butler; Film to Open March 22th, 2013. FilmDistrict Acquires US Distribution Rights For Olympus Has Fallen Starring Gerard Butler. Los Angeles, October 26, 2012 – FilmDistrict announced today that it has acquired US distribution rights to Millennium Films’ OLYMPUS HAS FALLEN starring Gerard Butler, Aaron Eckhart and Morgan Freeman and directed by Antoine Fuqua (TRAINING DAY). FilmDistrict plans to release the film wide on April 5, 2013. OLYMPUS HAS FALLEN is an action thriller starring Gerard Butler, a disgraced Secret Service agent who is called back to duty when the White House is taken over by terrorists. The movie also stars Angela Bassett, Robert Forster, Cole Hauser, Ashley Judd, Melissa Leo, Dylan McDermott, Radha Mitchell and Rick Yune. The film is written by Creighton Rothenberger and Katrin Benedikt and produced by Fuqua, Butler, Alan Diegel, Ed Cathell III, Danny Lerner and Mark Gill. The executive producers are Avi Lerner, Danny Dimbort, Trevor Short, Boaz Davidson, John Thompson and Heidi Jo Markel. The SAM HOUSTON SW Film Investment Fund LLC has reached agreement with CAA (Creative Artists Agency) of Los Angeles to represent the company and its fund on film investments and the placements of P&A financing through the CAA Film Investment Group. Negotiations are underway to place 12 Million with Sony on to support the P&A for Olympus Has Fallen that was recently completed by Millennium Studios at Shreveport, Louisiana. CAA will also be representing the Fund with Xian Qujiang Film and TV Investment Group, and CFG in China for the production of the full feature film about the Tang Dynasty to be released in 2014. Funds submit Plans, Drawings and a Full application to the State of Texas for a 12 Mil Grant to fund the acquisition and building of a new "Full Feature Film Studio" in Austin Texas. Opening is planned for 2014.